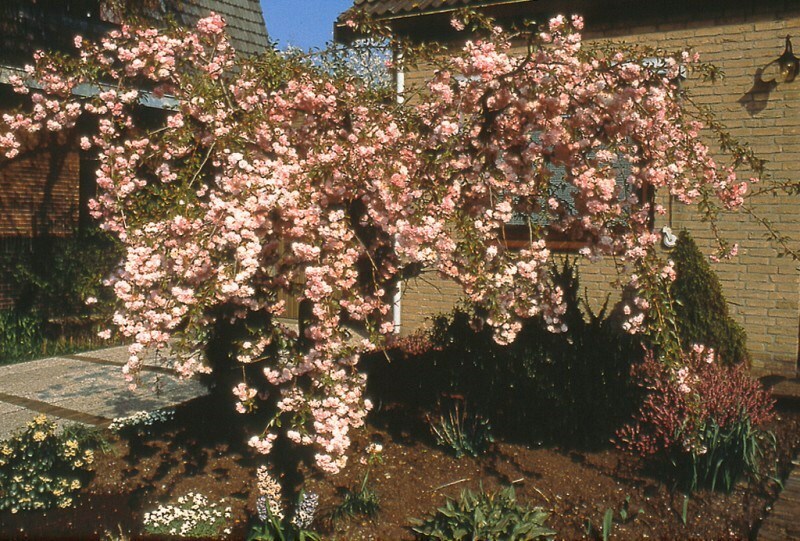 This Weeping cherry (its Japanese name apparently means ‘weeping chrysanthemum cherry’) is a small deciduous tree. Prunus serrulata Kiku-shidare-zakura has deep pink, double flowers in dense clusters ranged all along the branches in late spring, these are followed by bronze foliage that turn glossy green in summer. In the autumn time the foliage gives an orange-red display before falling. Like most cherries, it prefers to be planted in a free draining soil.